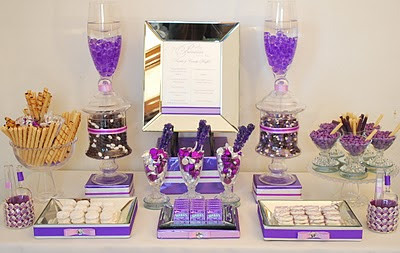 My Pretty in Purple Sweets Display was created for A Princess For A Day fundraiser highlighted in the previous post. When you think of princess, what comes to mind? Girly.. right? 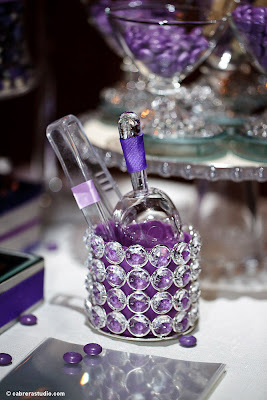 I wanted this design to interpret girly, but still exude sophistication. As I promised.. Pretty in Purple Sweets displayed with precious details that has a special place in my heart. Lots of mirrored details and delicate hobnail glassware! I totally Love!! 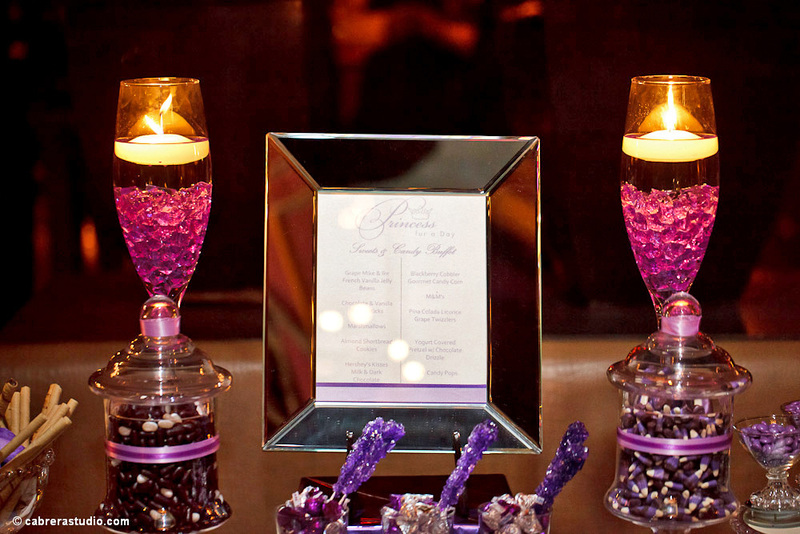 I loved the ambient lighting captured by the talented Cabrera Studio! Chocolate & Vanilla Wafer Sticks.. more lovely hobnail details around the pedestal glass bowl. Heart! 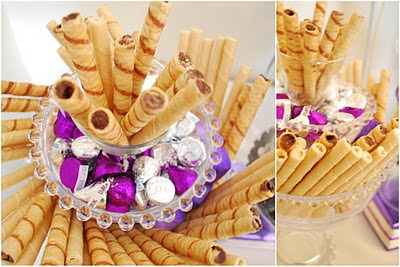 M&M's with a Pina Colada licorice "straw"
Mini circular mirrors enhanced the precious hobnail details around the base of the glass. Additional Photos will be added to Facebook Shortly! Oh, purple is my favorite!! 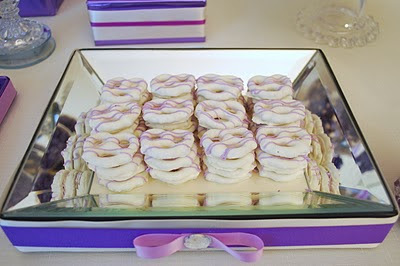 LOVE those mirrored trays!!! Okay, YOU HAVE DONE IT AGAIN!!! I HEART THIS SOOO MUCH! I BEG YOU.. Please let me feature this on my blog!!! One of my friends/follower favorite color is PURPLE.. Which it is also mine.. Every detail is flawless! FAB JOB!!! I love it, you have done it again! You inspire me! Such a pretty display! I loved the mirrored platters! I always love your creativity and unique touches! So pretty! Natasha! Everything looks so pretty! I really love the purple. Such a pretty pop of color! gorgeous! love how you used mirrors! Thank you ladies! Im seeing purple lately! Tanya..those mirrored platters are actually pic frames ;-) And the mini mirrors are tealight holders! They worked perferctly! Simply amazing! I love purple! And these whole things... Just wonderful! 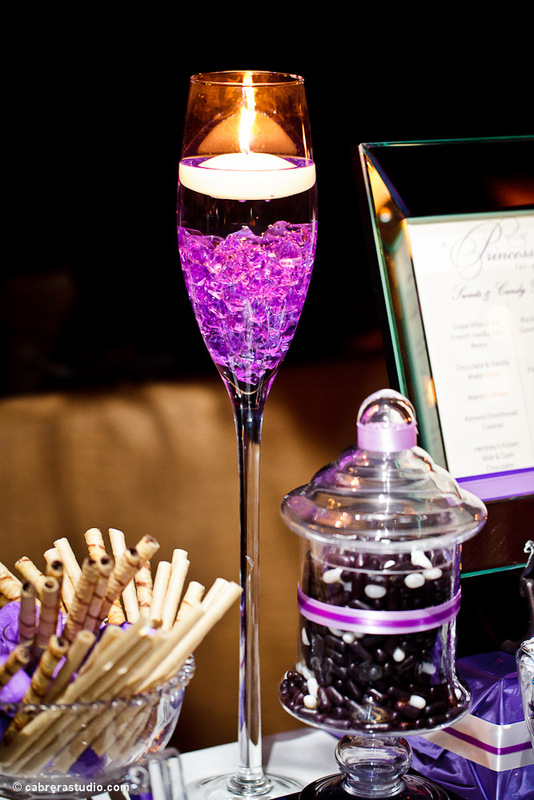 Perfection in Purples! Love it! Beautiful table, I really like what you've created with it! What an awesome way to make a lucky girl feel like a "Princess for the day"... 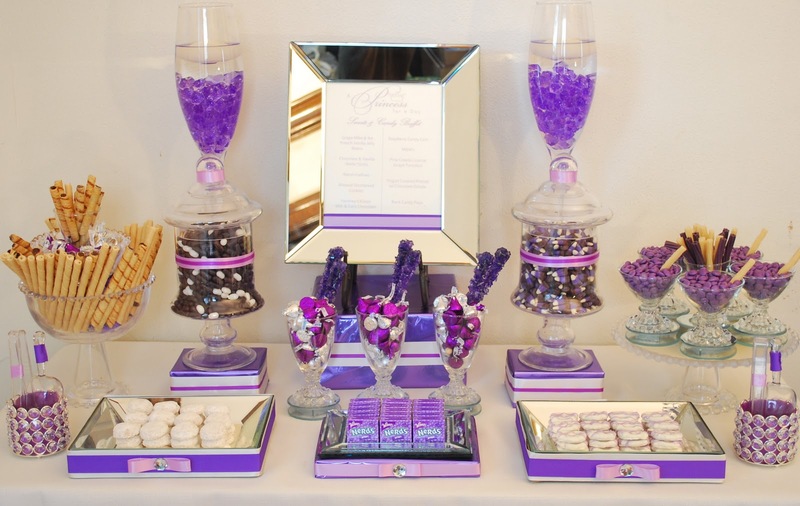 I love the color scheme and all of the neat ideas that went into designing this lovely tablescape.